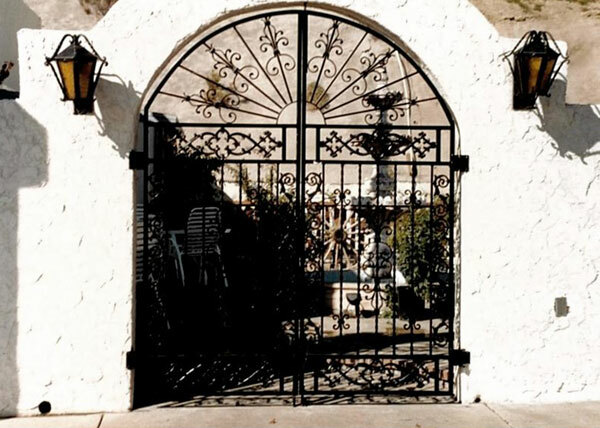 For high quality iron work in La Jolla, rely on B.A. 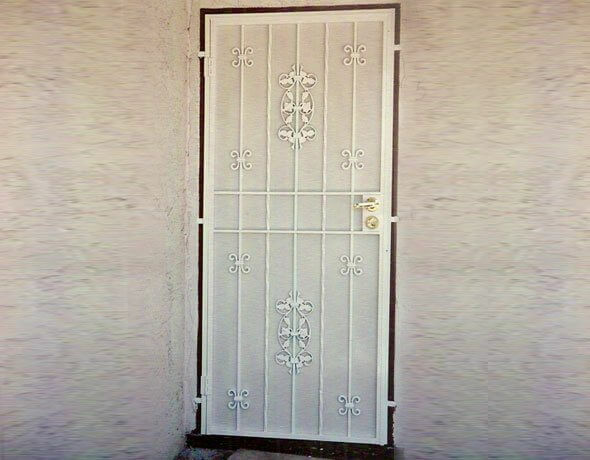 Ramirez & Sons Ornamental Iron Works, Inc.. We specialize in creating custom-designed iron fences, gates, railings, security doors, and window guards to fit a wide range of budgets. 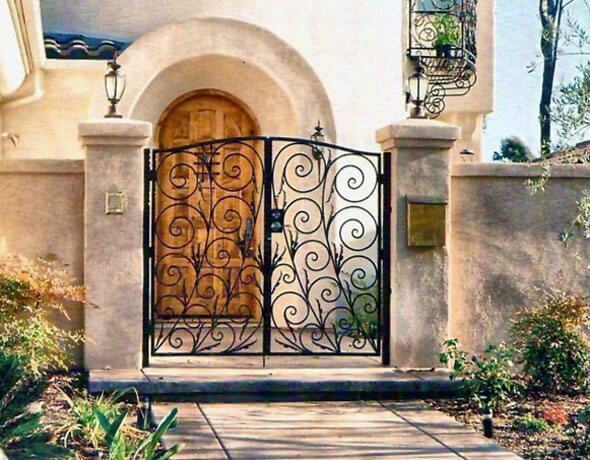 In addition, we offer repair and replacement services for iron fences, gates, and doors in La Jolla. Our services are provided by iron fabrication experts and installers who have between 30 and 50 years of experience. With their extensive experience, they are able to realize nearly any ironwork design, make cost-saving recommendations, and build longer-lasting structures. As a testament to our knowledge, skill, artistic abilities, exceptional workmanship, and fair prices, we have thousands of satisfied clients and receive the majority of our business from referrals and positive word of mount. Call fully bonded, insured, and licensed B.A. 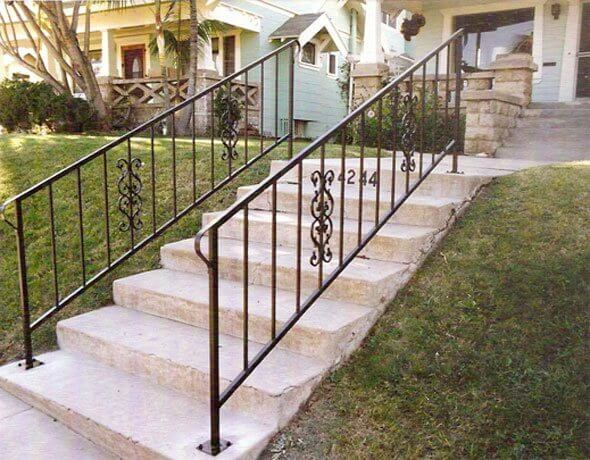 Ramirez & Sons Ornamental Iron Works, Inc. today for superior iron work design, fabrication, and installation services. We're a second-generation, family owned and operated ornamental iron contractor that caters to the needs of single family residences, residential communities, condominium complexes, businesses, industrial parks, schools, and more throughout La Jolla and the rest of San Diego County. We are deeply committed to customer satisfaction and we stand by our workmanship with written guarantees. All of our iron work in La Jolla is engineered and installed in full compliance with city, county, and state building codes as well as applicable HOA CC&Rs. Online estimates are free. Call B.A. Ramirez & Sons Ornamental Iron Works, Inc. today and learn how our custom window guards and/or doors can improve the look and security of your home or business in La Jolla. Custom-fitted and made from moderate- to heavy-weight steel, our security window bars and doors are highly effective at protecting your residential or commercial property from unwanted break-ins. Window bars can be installed on all of your windows or just on the first floor, but are always built with code-approved fire releases. Our security doors can be installed within a door frame or a few feet away from your front door to enclose the portico area. Iron doors and enclosure gates can also feature locks, handles, single and double-cylinder deadbolts, door knobs, or decorative lever handles, or even be equipped with keypads or other electronic access control systems. At B.A. 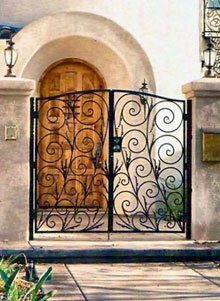 Ramirez & Sons Ornamental Iron Works, Inc., we can design, craft, and install almost any type of iron gate for properties in La Jolla. From the strictly functional to the highly ornate, our pedestrian and driveway gates can complement homes and businesses of any size and style. Our skilled craftsmen can hand forge scrolls or decorative pickets and integrate specialty designs, such as lettering, leaves, knuckles, circles, and more. We can also apply a galvanized, metallized, or powder coat finish to discourage rusting. Powder coat finishes come in 100s of colors, but we can also apply a liquid epoxy coat to achieve a custom color. 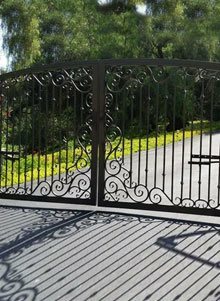 Any of our custom-made ornamental and wrought iron gates can become motorized and equipped with the latest security access controls and safety features. We offer DoorKing, Elite, LiftMaster, Linear, All-O-Matic, and RamSet, but are happy to install any brand of your choice. Today's leading brands offer a wide range of choices for automating your gate, including but not limited to: slide gate openers, swing gate openers, smartphone-enabled remote controls, keypad access systems, card reader access systems, entrapment prevention devices, KNOX emergency access key switches, and more. We will build each motorized gate to code and follow manufacturer guidelines for installation to ensure your motor, access control system, and other hardware work together seamlessly and last as long as possible. All of our ironwork is backed by a one year labor and materials warranty, and all of our brand name automated gate systems are backed by an extensive manufacturer warranty. To learn more, call today. When you choose B.A. 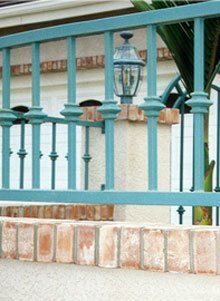 Ramirez & Sons Ornamental Iron Works, Inc. to build and install your La Jolla iron fence, you are are certain to be delighted by our quality materials, excellent craftsmanship, and superior customer service. We have been building and installing attractive, long-lasting iron fences for our commercial and residential customers since 1980 and work closely with our customers to help them get the best results for their budget. As iron fence installation and replacement specialists, we are also able to evaluate old or broken fences and gates, and provide cost-effective repairs. We work with both tubular and solid steel, and apply Old World craftsmanship with today's standards for style, durability, and safety. Our fences will meet any relevant requirements, such as building codes and HOA CC&Rs, and be backed by two-year warranties. 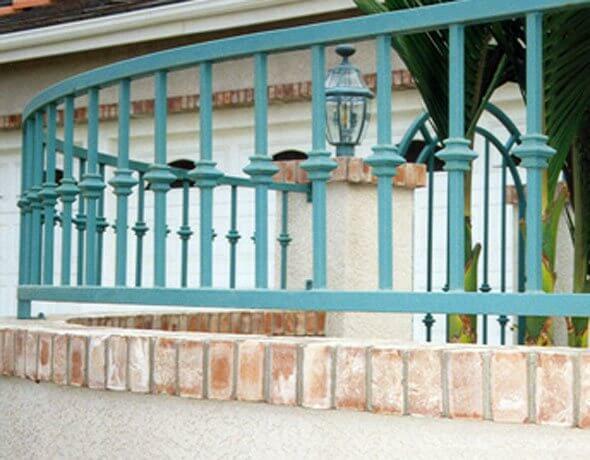 Call today to learn more about our decorative and wrought iron fences for La Jolla. With over three decades of experience and thousands of satisfied clients, B.A. 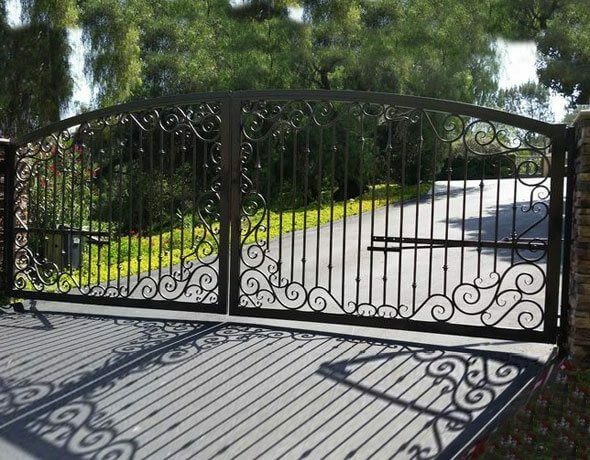 Ramirez & Sons Ornamental Iron Works, Inc. has become one of San Diego's premier ornamental iron fabricators. 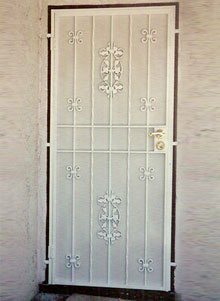 We offer expertly-crafted, custom-made fences, window bars, security doors, pedestrian gates, driveway gates, and railings at cost-effective rates. La Jolla commercial customers can always count on us to deliver iron work that fully meets their functional needs, aesthetic preferences, and preferred budgets. That's because our team of highly-skilled craftsmen average 40 years of experience and have essentially "seen it all." They know which designs will achieve a certain look, how to size a gate so that it looks well balanced, what type of steel and coatings to use for optimal durability, and what other options to recommend to achieve a specific goal. Call today to discuss your commercial iron work needs in La Jolla. In business for more than 30 years, B.A. 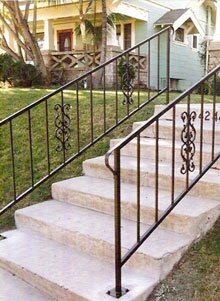 Ramirez & Sons Ornamental Iron Works, Inc. has worked with thousands of homeowners, property managers, and homeowner associations throughout the San Diego County area, including many in La Jolla. We've become the local experts for custom designed, fabricated, and installed iron work. As such, our iron fabricators are able to build iron fences, gates, railings, doors, window guards, and more for nearly every type of application. These structures are used to protect homes, secure pools, keep pets safe, delineate properties, keep out trespassers, and upgrade a home's appearance. We'll make sure your new fence, gate, railing, window guard, or door reflects your aesthetic preferences and meets today's building codes as well as any relevant homeowners association CC&Rs. Call us today to schedule a free on-site consultation. D1 B.A. 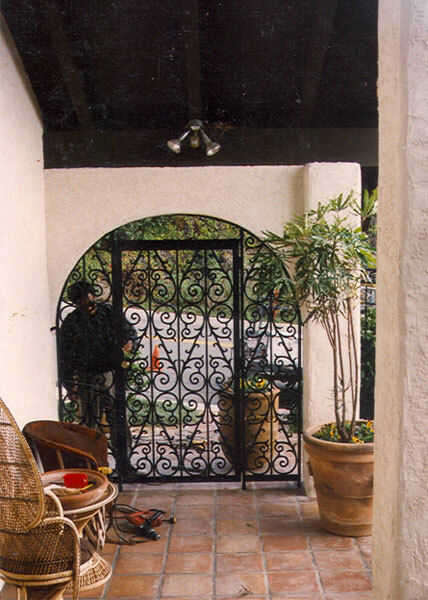 Ramirez & Sons installed this Spanish style entry gate in La Jolla, CA in a restaurant's patio area. The cast aluminum designs allow for highly detailed craftsmanship. G57 This highly decorative Italian style residential gate was installed in La Jolla, CA. Materials used 1-½" steel tube frames with decorative "S" scroll castings throughout. It guards the entrance to our clients home.